This complete kit has everything you need when planting new trees to give them the best start possible. It includes everything from a staking kit to prevent root rock, to an irrigation system to ensure the tree establishes well. It's a great value kit, saving you money compared to buying items individually. 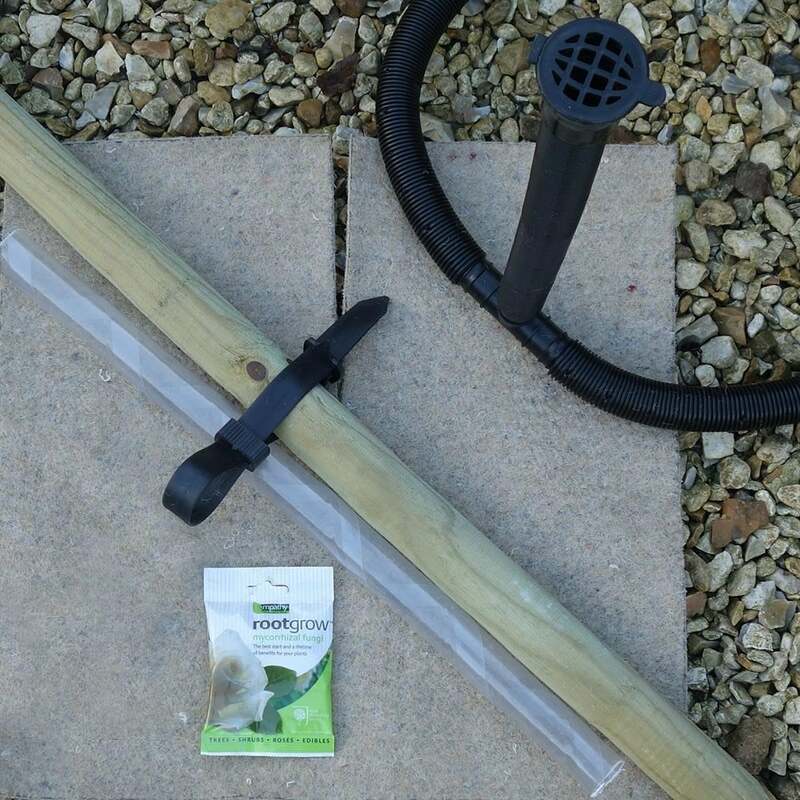 The tree planting kit is available in 3 sizes and includes a staking kit, a rabbit/strimmer guard to protect the tree, mulch mat to protect the tree from weeds, mycorrhizal fungi rootgrow and an irrigation system.